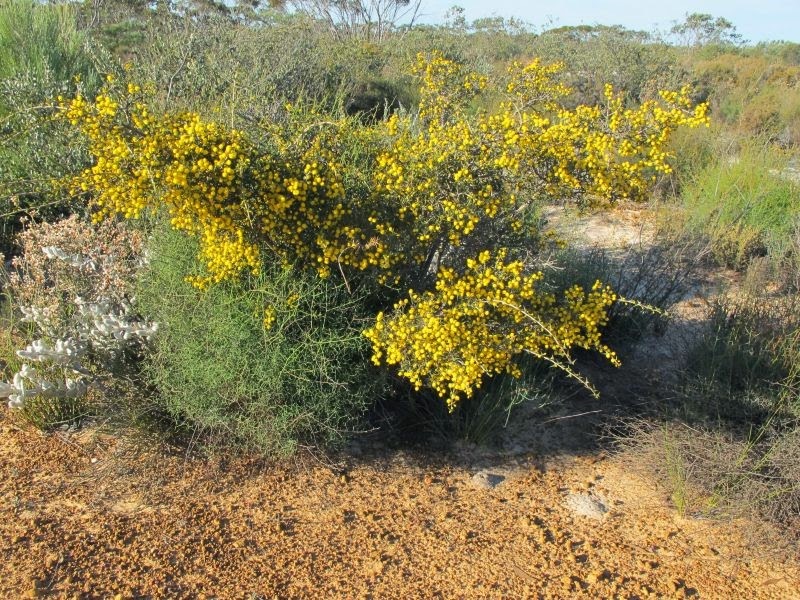 The most interesting thing about this wattle is not the flowers, although they are far from being unattractive, but the foliage which is very eye-catching with its sweeping lines closely resembling a plunging dolphin. 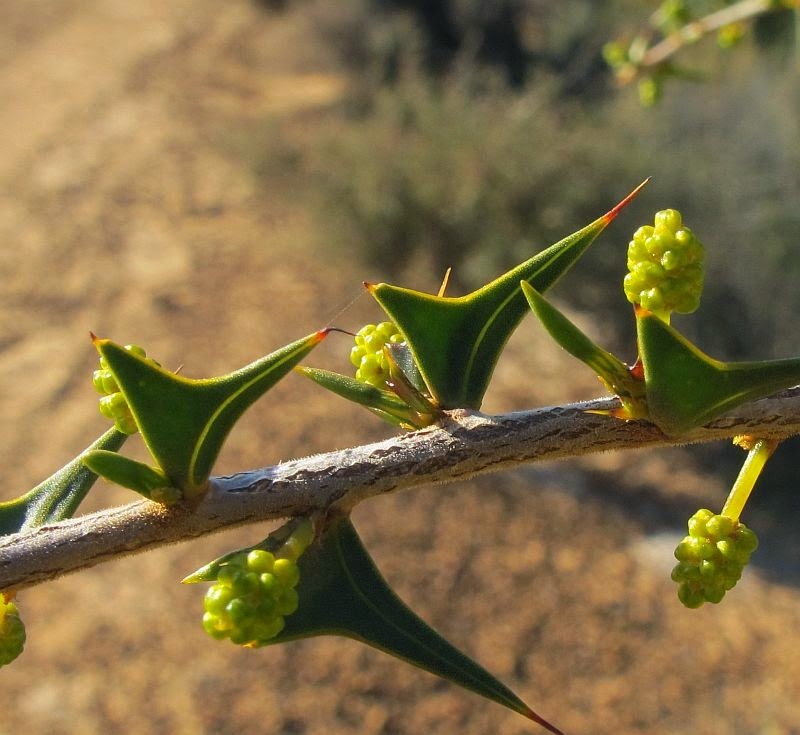 Acacia delphina belongs to a group of wattles known as Triangulares, which are small shrubs with triangular shaped phyllodes. Wattles belonging to this group have a single gland at the apex of the uppermost point (dolphin dorsel fin). 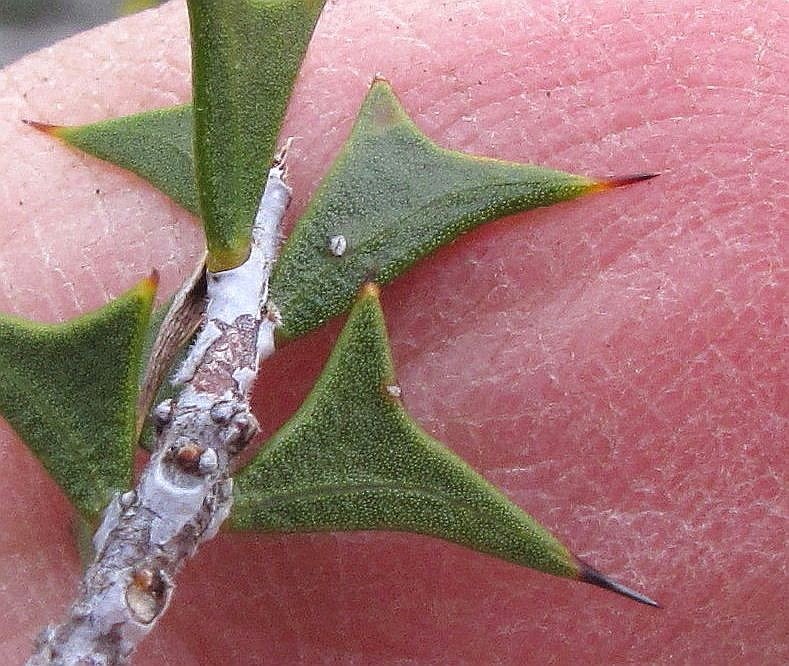 However Acacia delphina differs from other Triangulares by having a small mucro (short point) that overtops the gland, a feature that is unique to this species. 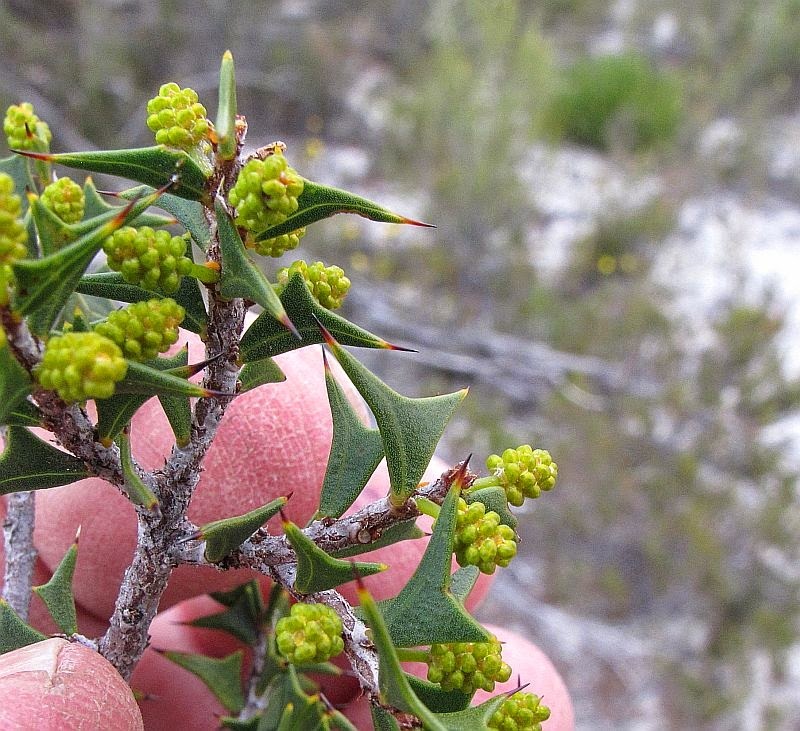 These phyllodes can grow to around 1.5 mm (5/8”) in length and are quite prickly, thereby demanding careful handling. The numerous flower clusters are golden/yellow and are around 1 cm (3/8”) in length, each sprouting from the base of a phyllode. 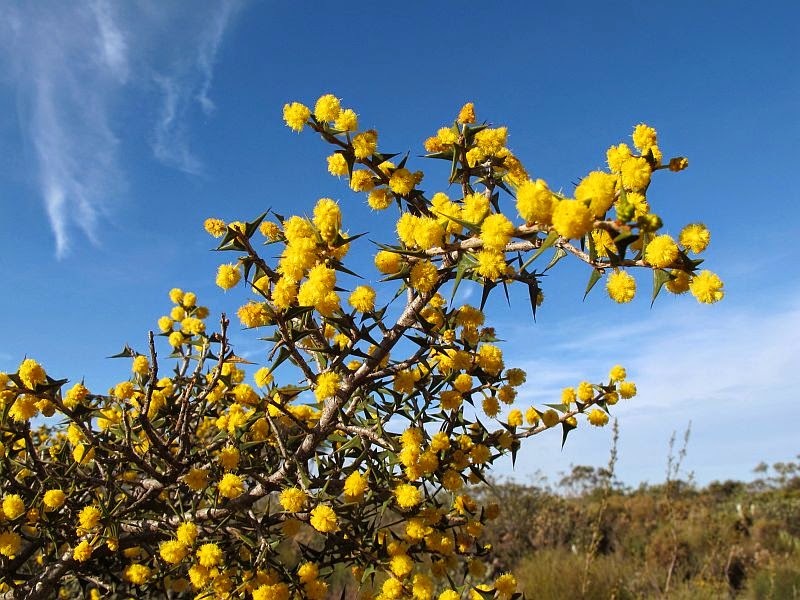 Acacia delphina (depending on local climatic conditions) blooms between July to October and locally favours deep white sand, or sandy rises over gravel in low-lying areas, where it can form reasonably compact although isolated colonies. 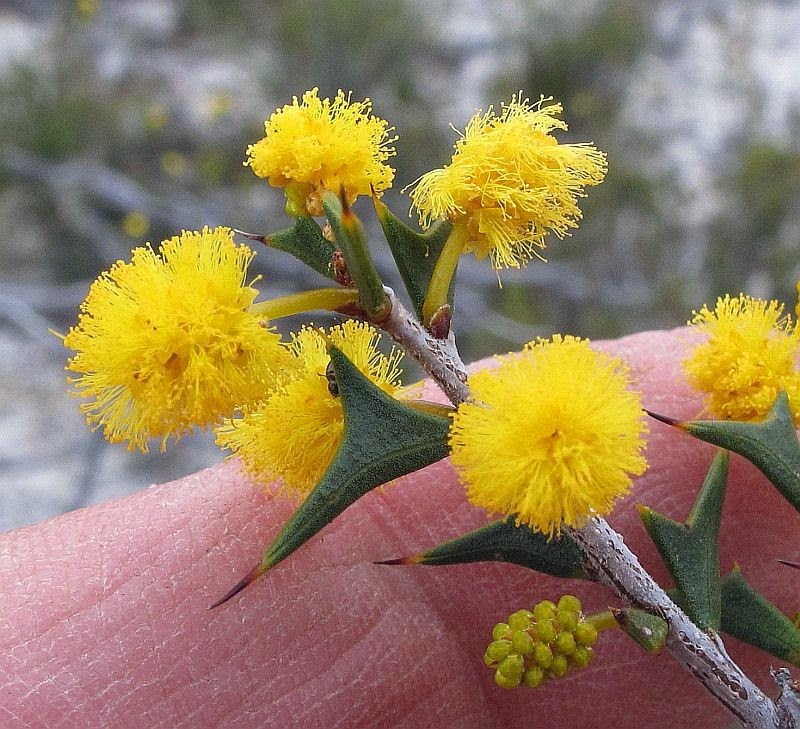 Acacia delphina grows to around a metre (4’) in height with an arching habit and is found in a 100 km (60 mile) wide band (coastal plains to mallee heath) between Albany (west of Esperance) to Israelite Bay (east of Esperance). 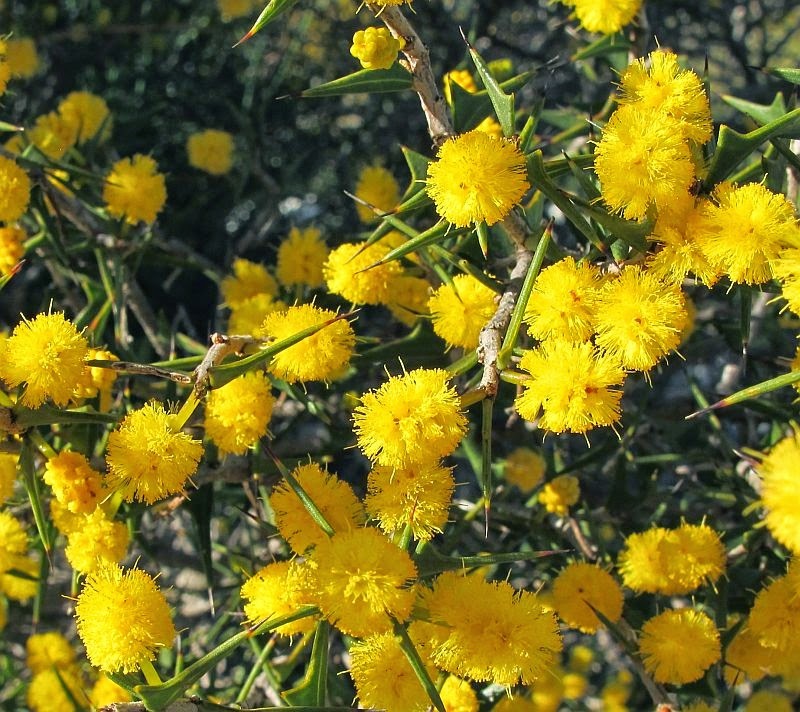 Acacia is part of the very large and diverse Fabaceae family, which includes all legume species. Some authorities and reference material may have Acacia listed under Mimosaceae or Leguminosae.